I have had self storage envy for quite a while. I can be precise about the date. One evening in April 1995, I attended an installation by Laurie Anderson, Brian Eno and a team of collaborators from the Royal College of Art at the Acorn Storage Centre in Wembley, London. I had never been in a storage facility before and this was an extraordinary way to encounter one. Visitors followed a self-determined trail from unit to unit. The sound pieces by Anderson and Eno that the rooms contained, along with art works by Eno and others, were enjoyable, but it almost didn’t matter what we found inside. 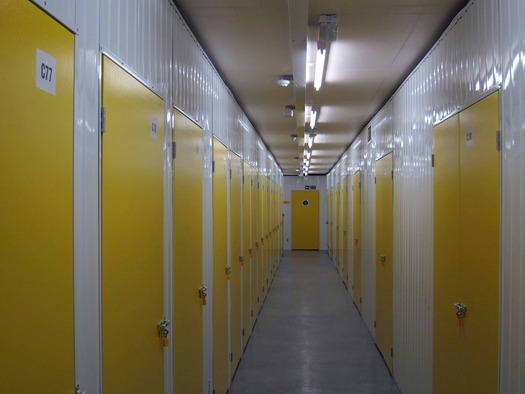 The best thing about Self Storage — an early project by Artangel — was the chance to wander freely in this strange space. Concealed receptacles no bigger than wardrobes! Cavernous hangars the size of a four-car garage! The unfathomable mystery of locked doors, unknown objects left, sometimes for years, in darkened repositories, and secret chambers that must remain off-limits to all but the key holder, if they are visited at all. From that day, I wanted a storage unit of my own. At that point, though, I didn’t need one. It was only recently after a concerted attempt to de-clutter our house had produced a stubborn residue of things that were still wanted but not needed on a daily basis that we signed up for a modest unit at a local self storage center. I’m still setting everything up inside the space, which is already taking on some aspects of a room. There’s a swivel chair and I just put in the first of two, maybe more, sets of shelves as the most efficient way of accommodating magazine boxes. Some units have a void above with only a wire mesh to seal the unit, allowing someone to climb up and look down inside; we chose one with a solid ceiling. It’s oddly exhilarating to have an outpost like this, a satellite space for exclusively private use orbiting not far from home, though the experience is now commonplace. Self storage is big business and the chances are good, if you are a householder, that you have used the service at some time, too. The last time I visited, the corridor ceiling lights activated as I emerged from the elevator; I was clearly the only person on the floor. 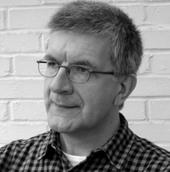 After I had finished, I wandered in the labyrinth of empty corridors, the lights clicking on as I went, past the hi-tensile steel wall panels and smooth yellow padlockable doors, round corners shielded from the blows of trolleys and boxes by tough steel checker-plate protectors. An alarm went off briefly for no obvious reason, making me feel like an intruder, though no one came to investigate. Some units in this recently opened section of the facility are already occupied, while many of these enticing voids still await their moment — one can tell from the presence of the company’s default lightweight padlock. The center uses an off-the-peg corridor and door system available throughout Europe, Asia, Australasia, and the Middle East. The blank physical parts of this standardized kit could not be more matter of fact and, on the face of it, less eerie or conducive to mystery, a far cry from the grimy, decaying self storage unit behind the old shutter that won’t open properly, under which FBI Academy student Clarice Starling must slide in The Silence of the Lambs. 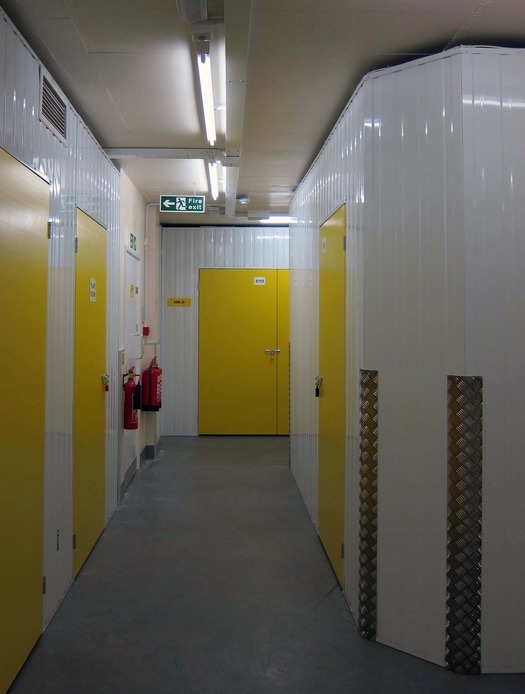 In films and TV programs, the self storage unit has become a regular site of wrongdoing, a place to conceal the tools, proceeds and evidence of crime, a location of disturbance, violence and unease. Opposite the elevator at my facility, there’s a warning sign showing graphic red images of a gun, a flame, dripping acid and an exploding bomb. The list of prohibited items includes firearms, munitions, toxic, flammable or hazardous goods, illegal goods, cash and securities. Tell that to Walt and Skyler White in the cult TV series Breaking Bad. 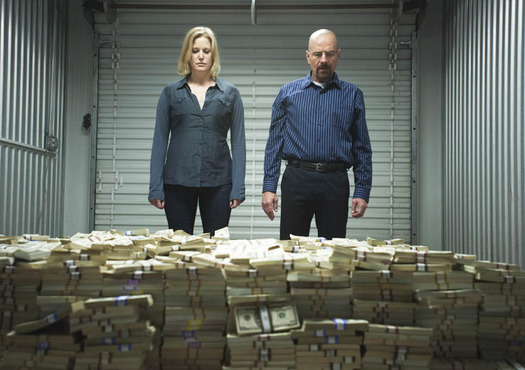 In what might just be the greatest ever scene set in a storage unit, a truly chilling moment in episode 8 of the fifth season, Skyler shows Walt the ever-accumulating fruits of his criminal genius — an obscenely vast edifice of dollar bills as implacably “there” and undeniable as a Carl Andre sculpture built of bricks. In this shuttered and secluded private theater, it feels uncomfortably like we, the viewers, are being made privy to our own unacceptable longings. The hidden realm of the storage unit releases inhibitions and encourages crazed flights of fantasy. It can be a site of marital double-cross and revenge (Self Storage), alien-on-the-rampage sci-fi hokum (Storage 24), or visceral horror, as in the forthcoming Self Storage — tag line: “Safe. Secure. Psychotic” — starring Eric Roberts. If the trend is going to continue, they clearly need some better titles. Filmmakers should also stop playing fast and loose with the structural limitations of the setting: storage units tend not to be connected by crawlspace-sized air vents allowing people to move freely from one unit to another. It’s about security, people. That said, the earlier Self Storage, a 17-minute short, has an audacious and just about believable structural twist. It would be fascinating to know what my neighbors have stashed away, though passing a partially open door it feels as rude as it is tempting to look inside. I would be suspicious and a little affronted if I were to see someone peering into mine. (Storage Wars trades, no doubt, on this element of prying.) Inside your unit, you could stare for hours at the thin metal wall that divides your hoard from the next person’s with never an inkling. In Storage 24, there is a lock-up loaded with shop window mannequins, perhaps inspired by a brief shot of jumbled mannequin torsos and limbs in The Silence of the Lambs, where the disquieting image has more dramatic purpose. But almost anything can become charged with new meaning when it is put away, padlocked, hidden and half-forgotten. In time, on the occasional visits I won’t be able to resist making, I hope to see curious and unlikely artifacts, strangely shrouded shapes whose purpose one can only guess at, being wheeled inside for safe keeping in the citadel of storage. I had a closet-sized storage unit for a couple of years for the LP record collection I was liquidating at collector shows. It was a nice escape to go down and sit amidst the boxes in the cool quiet, scent of plywood-and-2x4 partitions, affixing price stickers from my online research to each album cover, consumed by nostalgia. Occasionally a fellow packrat would wordlessly wheel a cart of things by to some remote corner of the building. Signing in and out anonymously with the caretaker, who operated a used goods business on the loading dock of items salvaged from abandoned units, I was sad to relinquish my storage outpost once the collection's size became manageable for relocation home. Interesting, Mark. Moose heads and favorite canoes! It figures that the super rich would have swanky specialized facilities where they can do it all on grand scale. Love the idea of those Portovaults. Jeffrey, in Britain there's always been a lot of amusement about men spending time in their garden or allotment sheds. (I'm not so aware of that as an American phenomenon.) But the similarities with the retreat offered by a nicely appointed storage unit had already struck me. I've really been wondering about the proliferation of these self storage facilities. Seems like there are more and more of them all the time. Old warehouse buildings in the city are being converted to self storage places, and new ones are being built on formerly open land in the countryside and suburbia. When I was a kid (1960s) these places were, as far as I know, pretty much non existent. I cannot recall any in the modest semi-rural suburbia where I was raised. Nor did my parents have more stuff that they could store in their house. Well, now my childhood suburbia is fully built out with McMansions--there are no more farms out there, it is not semi-rural at all. But there are self-storage facilities. Lots of them. Clearly, we all have more possessions that we used to. But how can it be that people living in those giant McMansions don't have enough space at home to store all their stuff? We are we all acquiring and keeping so much stuff? Rob, you are right, the accelerating growth of self storage since the 1960s is a sign of affluence, superabundance and excess. The USA leads the way (as ever) but as global consumption has grown so the need for somewhere to archive the overspill has made this a worldwide phenomenon. True sustainability would see this service decline. A lot of self storage use is for temporary convenience, of course. Recently, as the weather improved here in London, I saw someone manhandling the hood of his convertible into storage. That is so interesting that in other countries, like the USA or England even exhibitions and auctions take place in self storage facilities. In Germany things like that are still unthinkable. However, also in Germany self storage is a growing industry because the mobility of people increases. They travel, move, change places a lot more than back in the 1960s. I recently came across www.storagebook.de and was fascinated too by the fact that the symmetric form, the cleanness and the colors are even good-looking in a way - good to see on the pictures at http://www.storagebook.de/lagerraum/berlin.